Truly one of a kind set, the 1989 Queen Elizabeth II Tudor Rose Gold Four Coin Sovereign Collection offers a unique piece of history, as the first ever commemorative gold Sovereign set. Commissioned by Henry VII on 28th October 1489, the Sovereign celebrated it’s 500th anniversary in 1989, and to commemorate this extraordinary occasion, The Royal Mint called upon renowned Designer Bernard Sindall to devise an exclusive reverse for the coin, making it the first time in more than 100 years that the reverse has carried a design other than Pistrucci’s St. George & the Dragon. Sindall drew inspiration for his design from those established during Henry VII’s reign, which feature hammered Sovereigns. His unique creation on the 1989 Queen Elizabeth II Tudor Rose Gold Sovereign coinage boasts a crowned shield of the Royal Arms set upon a double Tudor Rose. In addition to this, for the first time in more than 300 years, the monarch, in this case Queen Elizabeth II, was depicted enthroned, rather than with a portrait. Struck in 22-carat gold and admirably crafted, the 1989 Queen Elizabeth II Tudor Rose Gold Sovereign set is increasingly rare and vastly sought after by coin collectors and dealers around the globe. 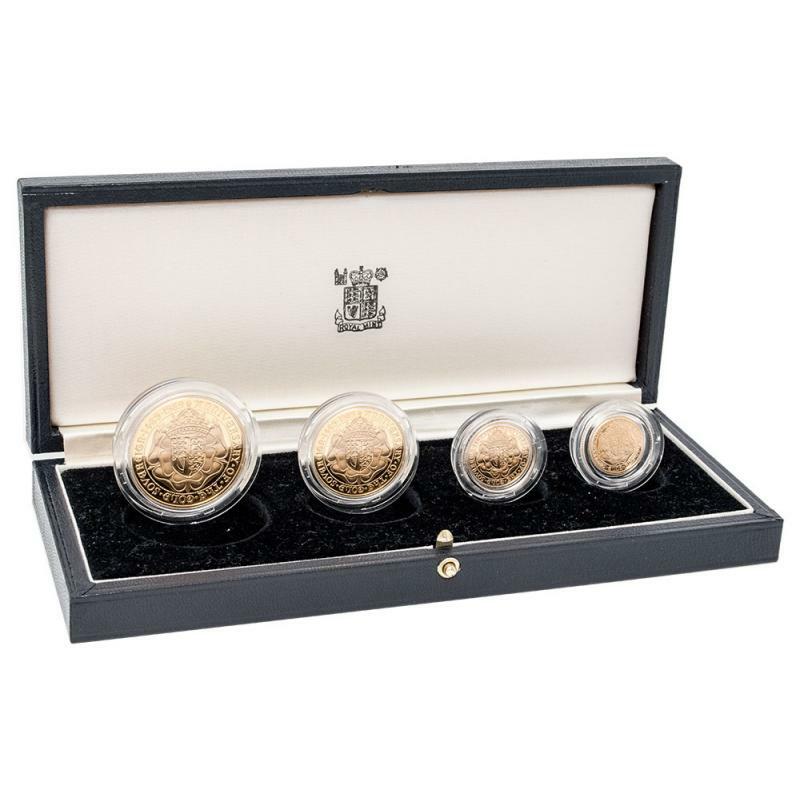 An exceptional and unprecedented collector's item, any of the 1989 Queen Elizabeth II Tudor Rose Gold Sovereign range is a delightful addition to any collection. 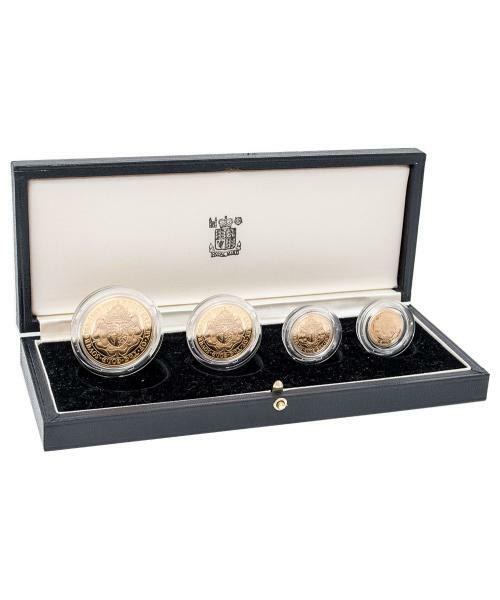 Please note that we are currenlty only sourcing this coin set by request. Please Contact us to register your interest.